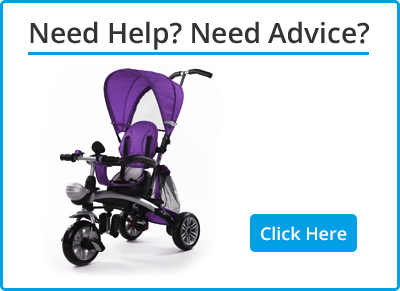 This 4 in 1 Tricycle is perfect for settling your child into their first bike and has a range of brilliant features. 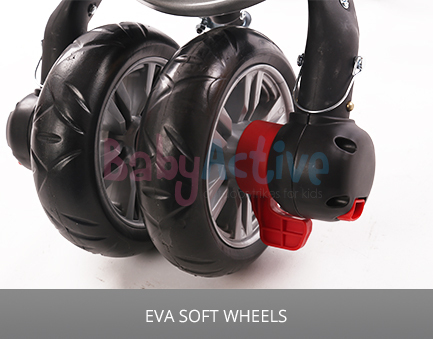 This 4 in 1 Tricycle is perfect for settling your child into their first bike and has a range of brilliant features. 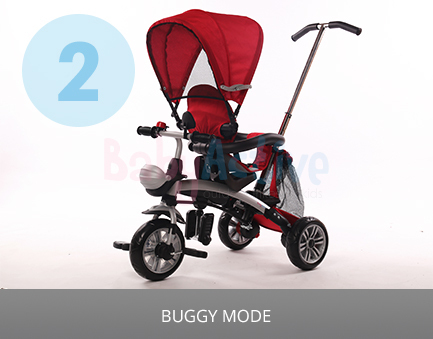 As a buggy it can be used with the rotatable seat, so you can have the little one facing towards you. 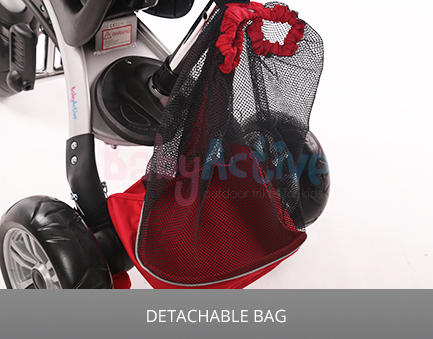 It also includes a soft padded seat and handy storage basket for storing your child’s items. 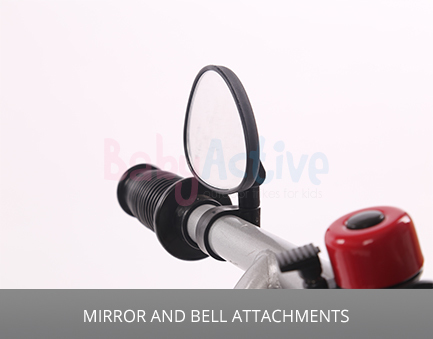 Take it step by step by introducing them to the feeling of riding a real bike. 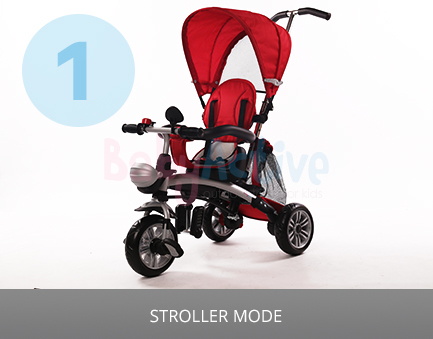 In Tricycle mode you have the option to stay in control with the adjustable parental steering bar, or if you feel their ready you can remove this and let them ride solo, the choice is yours. 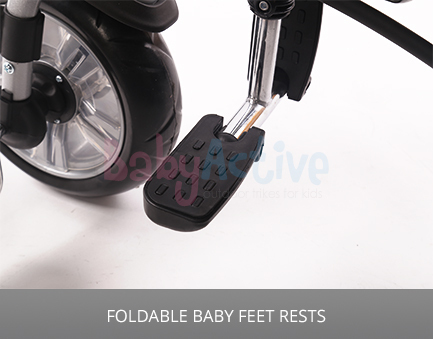 Get them ready for bike mode by removing the padded seat and pushing the rotatable wheels together. 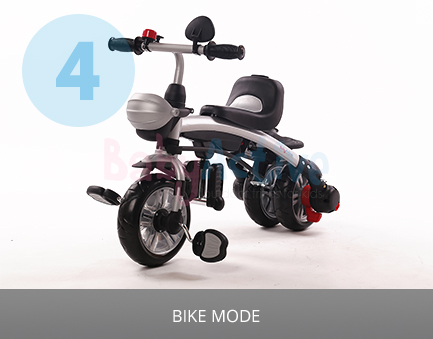 And there you have it, a fully transformed balance bike! 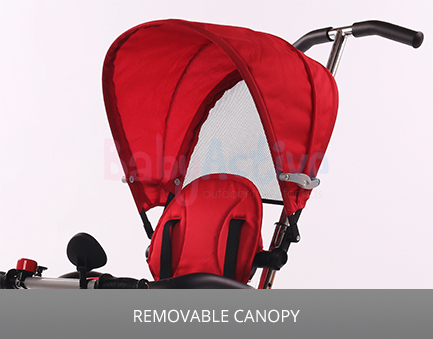 Available in 6 stunning colours: Light Blue, Blue, Green, Pink, Purple and Red. 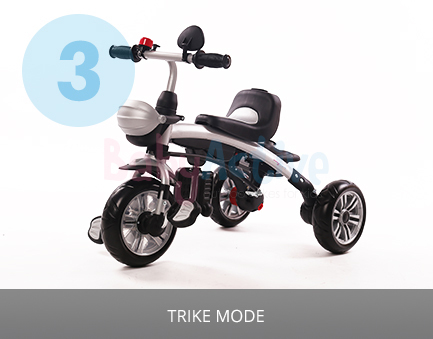 And finally when it comes to safety this trike has all the necessary features. 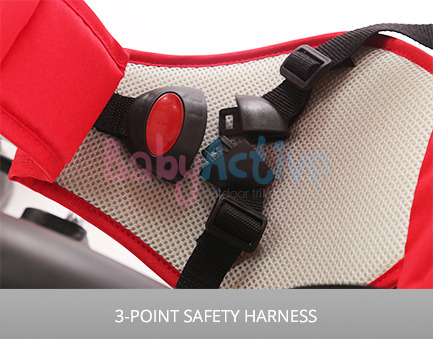 Our model comes equipped with a 3-point safety harness so your child will always be secure, not to mention the safety bar that surrounds the padded seat in buggy/stroller mode.